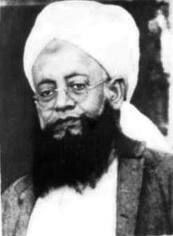 Shaykh Husain Ahmad Madani (1879-1957) “may well have had made the most influential and significant intervention in religious thought of any Islamic scholar of twentieth century India…The importance of his writings lies in the fact that he laid down in uncompromising terms, the Islamic sanction for Muslims to live with non-Muslims in a shared polity and specifically, to embrace the secular democracy of a state like India (Metcalf: 2005: 23-24). Shaykh Madani states: “The Prophet Muhammad, Allah bless him and give him peace, in the fourteenth year of his prophethood, formed a united front between the Companions and the resident Jews of Medinah based on a written constitution that brought them together as one nation against their common enemy. This is an agreement by Muhammad, the Messenger of Allah, which will be enforcable amongst Muslims both Ansar and Quraysh and their allies. Bani ‘Awf (a Jewish tribe) is a party to the agreement and ally of the Muslims. Jews shall be free to practise their religion, so shall the Muslims. Apart from religious differences, all other communal affairs Muslims and Bani ‘Awf shall be regarded as one nation. Anyone committing any breach of this contract or any wrongdoing shall be liable to appropriate punishment (by law). The pertinent issue here is: if Muslims cannot form a nation with non-Muslims; if Islam does not permit it and Islam does not have the flexibility to form on any condition a common national identity then how was it that the Prophet, Allah bless him and give him peace, formed a common identity with the Jews of Medinah?